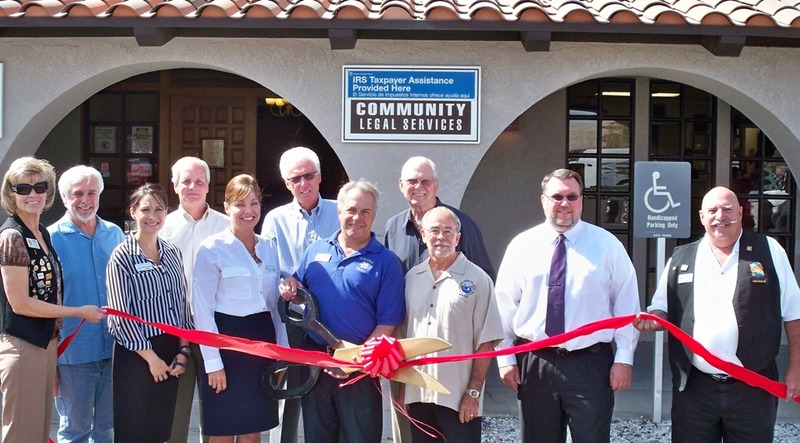 The Lake Havasu Area Chamber Ambassadors held a ribbon cutting ceremony for the IRS Virtual Service Delivery system celebrating its integration into Lake Havasu City. Attending the ribbon cutting from left to right were Denise Johnk, Rich Miers, Melissa Underwood, Dan Matthews, Kim Anderson, Don Callahan, Michael Eigenbrodt, Dean Barlow, Mark Nexsen, Jay Bidwell, and Lucky Atkinson. The IRS office in Lake Havasu has been temporarily closed so in an effort to provide many of the same services the Virtual Services Delivery system has been implemented. The taxpayer will connect virtually with an IRS taxpayer assistance employee who will be able to remotely offer face to face services. This service is available Monday through Friday from 8:30am-4:30pm at the Interagency Council office 1940 Mesquite Ave.